Costa Rica seems to have been designed for adventurous families! With vast jungles, the Caribbean and the Pacific, cloud forests and dry forests, Costa Rica packs a punch well above its size. The country’s slogan is “Pura Vida” meaning Pure Life – and this sums up what a trip to Costa Rica is all about. Nicaragua is the “New Kid on the Block” in Central America. It is perfect for families and today is regarded as the safest country in the region. White water rafting for all ages, rappelling down waterfalls, ziplining across the rain forest canopy, ATV trips, kayaking through mangrove swamps, volcano hikes – its non stop action! Visit a coffee farm and learn the secrets of how some of the best coffee in the world is made, or see how chocolate is made, from the very moment you open up the cacao fruit! Learn to milk a cow at a sustainable dairy farm, and make your own sugar cane juice. Learn the amazing secrets of how pig and cow manure is turned into natural gas used in kitchens! 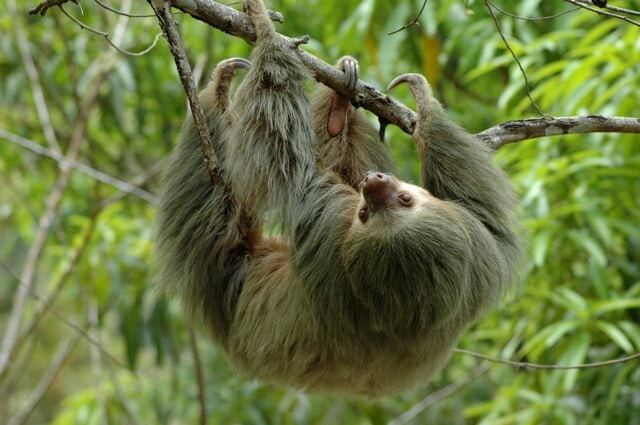 Sloths, huge iguanas, poison dart frogs, giant turtles, amazing bird and insect life – it’s all there and easy to see. Think night safaris in search of amazing nocturnal creatures you never knew existed, visiting beaches to see turtles laying eggs and perhaps witness a new hatchling running down to the sea, or hundreds of dolphins playing around your boat – Costa Rica has this and much more. For when you just want to relax, there are great beaches, hot springs, very kid friendly local food and great resorts!